Biltmore Estate was created by George Vanderbilt as a relaxed country retreat, where he could welcome and entertain family and friends in an idyllic setting away from the pressures of city life. Today, visitors to Biltmore Estate are able to enjoy many tours and activities while exploring Biltmore House and other public areas of the stunning 8000-acre Estate grounds. Here are ten interesting and fun things to do during your visit to Biltmore Estate. As is common in the travel industry, the writer was provided with complimentary admission, meals, tours, and activities for the purpose of reviewing those services. While it has not influenced this article, this website believes in full disclosure of all potential conflicts of interest. For more information, see our ethics policy. The Biltmore House Audio Tour provides an interesting and entertaining narrative about the history, architecture, works of art, antiques and life at Biltmore Estate. It covers all of the more than 40 rooms open to the public and offers a great way to pack a lot of information into your visit of Biltmore House, while still having the flexibility to explore at your own pace. Allow two hours or longer to enjoy the Audio Tour. If your time permits, do listen to the extra in-depth selections provided for many of the rooms. The Audio Tour desk is located in the Entrance Hall, where the tour may be purchased for an additional fee. If possible, it is very helpful to take the Audio Tour before exploring the rest of the Estate. Biltmore Winery is the most visited winery in America. Located in Antler Hill Village on the grounds of Biltmore Estate, it is housed in the building which served as the Biltmore Dairy Barn from 1896 until 1957. Self-guided tours and complimentary wine tasting are included in Estate admission. Specialty tours and winery experiences are offered for an additional fee. 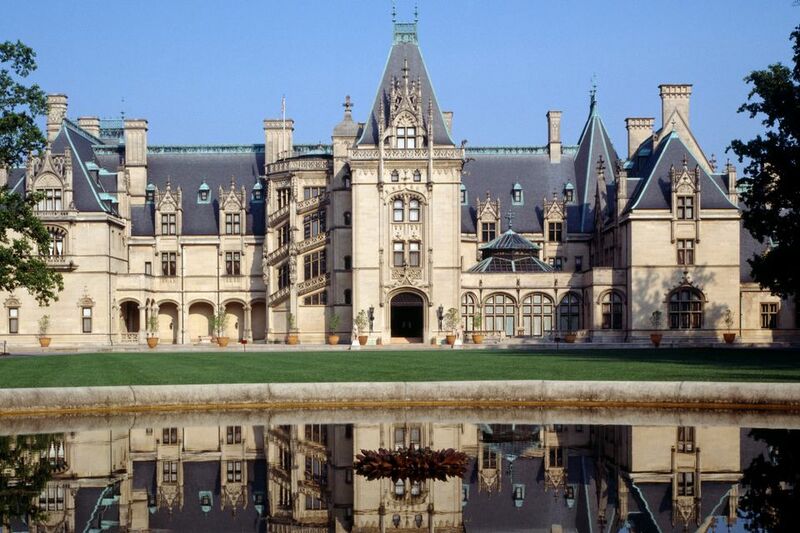 In addition to the Biltmore House Audio Tour, there are several very interesting guided tours which explore the history, art and architecture, lifestyle, landscaping and gardens and other in-depth topics about Biltmore Estate and the Vanderbilt family. These specialty tours provide added insight into George Vanderbilt's vision for Biltmore Estate, the challenges encountered throughout its history and much more. Most of the specialty tours require advanced reservations, some are seasonal and most require an extra fee in addition to Estate admission. Well worth the cost, we highly recommend considering one or more of the specialty guided tours to enhance your visit. To find out more about Biltmore Specialty tours, visit the Biltmore Estate Official Website. George Vanderbilt's vision for Biltmore Estate focused on self-sufficiency and the Estate Farm was a key factor in achieving this goal. Today, the Farm offers appeal for all ages with living history interpreters, wording exhibits, interactive activities and more. Explore the barn, farmyard complete with friendly farm animals and the kitchen garden. Activities for children include turn-of-the-century games and crafts, family wagon rides and more. Allow plenty of time to enjoy the Biltmore Farm, especially if you are visiting with children. The Stable Café - Housed in the former 19th-century stable next to Biltmore House, this restaurant is extremely popular and busy. Open only for lunch, the casual menu features Southern favorites, Carolina barbecue, burgers and sandwiches, and salads. Antler Hill Village Restaurants - Three restaurants, Village social, Bistro and Cedric's Tavern offer upscale casual lunch and dinner dining options. The Dining Room - Located at the Inn on Biltmore Estate, this elegant restaurant features regional cuisine and beautiful views. In addition to breakfast and dinner, The Dining Room serves afternoon tea. Reservations are required. Deerpark Restaurant - Located in a historic barn, this charming restaurant located across from the Carriage and Trail Ride Barns, serves buffet lunch Tuesday through Saturday and brunch on Sunday. The cuisine features traditional Southern favorites and Appalachian specialties. Snacks and Lighter Fare - Near Biltmore House and Gardens, light meals and snacks are available at the Bake Shop, Courtyard Market, Ice Cream Parlor and Conservatory Café. In Antler Hill Village, the Creamery, Smokehouse and Wine Bar offer an array of snacks, sweets, light meals and more. Throughout the year, Biltmore Estate plans several seasonal special events. Many travelers enjoy planning their Biltmore visits to coincide with a seasonal celebration. If the timing of your trip is flexible, check the dates for the special events mentioned above or visit the Biltmore Estate Official Website - Annual Events Calendar to check for other seasonal celebrations. Carriage Rides - Offered daily, 45-minute carriage rides offer a chance to enjoy the quiet of the forest and beautiful views. Private carriage rides may be booked in advance as well. Biking - Register at the Bike Barn on the second floor of Antler Hill Barn. Use your own bikes or rent one to enjoy paved or forest trails throughout the Estate. River Float Trips - Seasonal float trips explore Biltmore Estate from the French Broad River. Self-guided kayak rentals offer another river sightseeing option. Horseback Riding - Make arrangements to ride your own horse or enjoy a one-hour guided ride. Guided Segway Tours - Explore the Estate grounds via an all-terrain Segway. Fly-Fishing Lessons - Learn the basics or improve your technique with one of a few different experiences for various levels of expertise. Land Rover Driving School - Learn how to handle off-road driving on a special course, complete with obstacles, and receive a certificate at the end of your adventure. Sporting Clays - Enjoy a two-hour lesson with an expert instructor. If you like to shop, Biltmore Estate will not disappoint. Within the gates, there are more than a dozen different stores, each offering Biltmore inspired items. Most shops are located in the Stable area next to Biltmore House or in Antler Hill Village. Fun things to buy include everything from fragrant spa products to Biltmore wine and gourmet items, elegant home furnishings, old-fashioned toys, plants and even strange little gargoyle replicas for your garden.